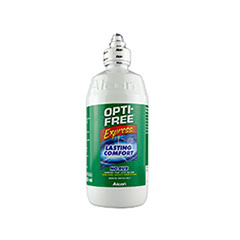 Opti-Free solutions are designed to clean and care for your soft contact lenses so that each wear feels like the first. 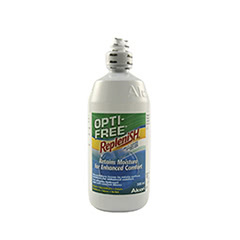 With several different types available, you're sure to find a solution that works for you. 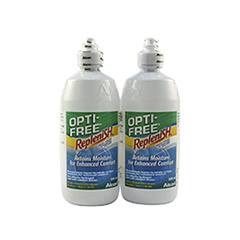 Our different Opti-Free solutions offer a number of different benefits. Opti-Free PureMoist is ideal for sensitive eyes, forming a gentle cushion of moisture that keeps your eyes hydrated for longer. 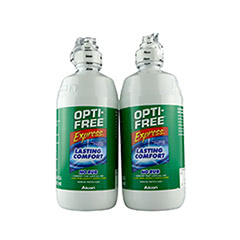 Opti-Free Express is an all-in-one solution that effectively removes daily protein build-ups, keeping your lenses fresher for longer. 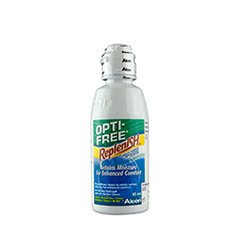 Please note that you should only use solutions that have been recommended by your optician. 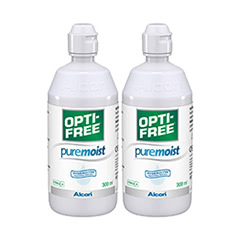 Buy your Opti-Free solutions with Lenstore.co.uk, and take advantage of our premium services. You'll not only receive super fast delivery, but also the same superb customer support that's helped make us one of the most trusted contact lens retailers in the UK.